If you have recently purchased an iPad you may be wondering if you really need to get an iPad sim card. The fact is that this is not a compulsory act.Â While you do not need to have an iPad sim card it does offer a host of benefits which you would be otherwise deprived of.Â The ability to connect to the internet at any time is one of these benefits.Â It is best to first see whether you really need an iPad sim.Â Once you have determined whether or not you do need it, you should look at the deals on offer. Do you need an iPad sim card? An iPad sim is an object that not everyone actually needs.Â While the main motivation behind the purchase of an iPad is to connect to the internet on the move and have a medium to complete activities while not by the computer.Â This does not mean that you have to have mobile broadband to do it. The reason why you purchased the iPad is a major factor in whether or not you need to purchase a sim card.Â If you bought the item to use as a hand held computer substitute then you may not need a sim card.Â Additionally, there are certain iPads which do not have the capability of housing a sim card.Â These are the Wi-Fi only devices and you can connect to the internet using wireless signals.Â Free Wi-Fi is available in a number of places from coffee shops to restaurants and airports. If the main motivation for your purchase of an iPad was not as a hand held computer,but as a mobile device, you should consider a sim.Â Having a mobile broadband connected iPda offers a type of convenience which is hard to surpass.Â Another option for people who have bought their iPad for mobile flexibility is to get one that offers both Wi-Fi and 3G connectivity.Â To get the most out of these models you will need to get a sim card. Now, you might be thinking that it seems a bit pointless having the two connectivity modes.Â However, there are a number of benefits to this.Â When using these models the Wi-Fi functions will continuously look for a connection.Â When you are in a free wireless zone the device automatically changes your connection from mobile to wireless.Â This is a great way to save money as you will not use your mobile data limit as quickly. If you decide that you do need to get a sim card you should be aware of the sim cards used in these devices.Â There are two different types depending on the model of iPad you have.Â The normal iPad will use a microsim card, which is half the size of the normal sim card in mobile phones.Â There are some phones which use these cards as well including the Samsung Galaxy S3.Â However, if you have purchased an iPad mini then you will not be using this kind of sim.Â The iPad mini uses a nano-sim, which is smaller than the microsim.Â Knowing which sim you need is important when you look at sim card deals, particularly online. It is possible to get an iPad sim card deal from most mobile service providers. Of course there are some providers who are better than others and in this area the main contenders are Vodafone and 3 Mobile.Â When you purchase these deals there are two contract types that you can get.Â The first is pay as you go and the other is a monthly fixed term contract.Â Which contract you should get will depend on how you are going to be using your iPad. Pay as you go contracts are recommended for people who are not going to be using the internet that much.Â The concept behind this contract is much the same as pay as you go mobile contracts.Â You pay an upfront amount for the sim card and an amount of data.Â You will only have to pay again if you use all the data or the data expires.Â The amount you have to pay for the data will vary depending on the provider. More frequent users should look at getting a monthly fixed term contract.Â These contracts will cost you a certain amount each month for a monthly data allowance.Â The data allowance is more than you can get for the same price on pay as you go.Â There are a number of different deals which offer more or less data each month and it is up to you to determine how much you need. Vodafone is a service provider that many turn to for their iPad sim.Â While this provider offers a range of different packages the one which is most popular is the 1 month rolling contract.Â The reason for this is the benefits which the contract offers. Freedom is offered by the rolling nature of the contract.Â You are able to change providers or cancel the contract with 30 days notice. You are not locked down for months.Â This is an added bonus for many people as they may want to change their package once they determine how much data they need. When you sign up to a contract with this provider there are a few features of their contracts that you should know.Â All their fixed term contracts will provide you with the sim card for free and there are often special deals for light internet users. 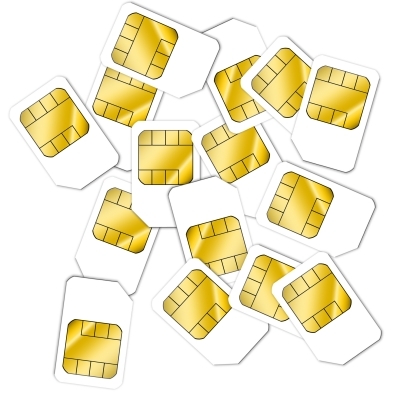 Monthly fixed term contracts which give you the sim card for free. Larger data allowance than other providers.Â 3 Mobile offers greater amount of data for the heavy user which allows you to not worry all the time. Rolling monthly contract which offer flexibility and freedom through a lack long term locking.